The technology marketplace changed tremendously in 2018 with massive acquisitions, security breaches, harassment scandals and the rapid introduction of AI within many technology products. Given such rapid change, it’s worth taking stock of how different companies fared during this transition and what’s next. 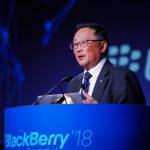 Lopez Research met with BlackBerry at the Consumer Electronics Show (CES) to discuss the company’s progress and its vision for 2019. Of course, the talk of CES was automotive and TVs. BlackBerry’s QNX real-time operating system enables automakers to build secure and scalable software solutions for connected and autonomous cars. Audi, BMW, Jaguar Land Rover and Toyota use the software for infotainment systems, acoustics and dashboard functions. At CES, the company showcased new infotainment systems built on QNX running in the Audi Q8 and Karma Revero. Despite intense competition and noise in the space, QNX is embedded in 125 million vehicles today. However, the road ahead for BlackBerry in 2019 requires successfully executing in strategies that support embedded operating systems, Internet of Things platforms and security solutions. Today, numerous startups offer point solutions, but there’s no clear security powerhouse. While security teams want to purchase innovative solutions, the complexity of deploying and updating software from a portfolio of startups has proven too challenging. As a result, enterprise buyers are looking to their established IT vendors to create more integrated security offerings as the security market evolves to combat new types of threats. BlackBerry can continue to grow inorganically by purchasing smaller innovative firms to address the more than $150 billion growing security marketplace. Venture capitalist overinvestment in security startups will undoubtedly lead to firesales of useful technologies in 2019. « HTC Vive Headsets Lineup Explained: Should You Wait For Cosmos?